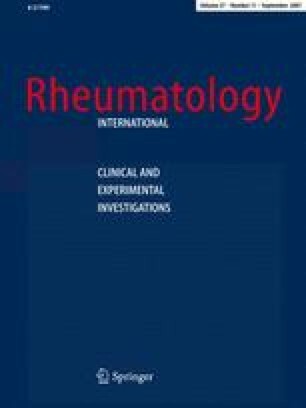 The objective was to assess the cost-effectiveness of various DMARDs compared with antimalarials (AM) for rheumatoid arthritis (RA) treatment. The data on disease activity, functional status and societal costs were collected from a 1-year cohort of 152 patients with RA receiving at least one DMARD for ≥ 6 months. Incremental cost effectiveness ratio (ICER) was calculated from the societal costs of DMARD treatment compared with AM per one unit of HAQ improvement. All costs were presented in 2001 US dollars. Mean (SD) societal cost of AM treatment was US$ 2,285 (1,154) per patient per year. MTX + AM was less costly and more effective than AM, as the ICER of this combination would save US$ 834 per 1 U of HAQ improvement. MTX + SSZ, leflunomide, and triple therapy (AM + MTX + SSZ) were more effective than AM with additional costs. RA treatment with non MTX-based DMARDs was not cost-effective. This study was supported by Ratchadapiseksompotch Fund, Faculty of Medicine, Chulalongkorn University, Bangkok, Thailand. The authors would like to thank Ms. Youwanuch Kaewkum for collecting the data; Ms. Sureerat Ngamkiatpaisan for providing the unit cost data of King Chulalongkorn Memorial Hospital; Dr. May M. Boggess, Dr. Somrat Lertmaharit, and Dr. Saowalak Hunnangkul for calculating bootstrap estimates by Stata software.